All readers of this text should be somewhat disconcerted, because Jesus is powerfully healing while simultaneously speaking words of warning. It’s kind of like a doctor bandaging a wound while also scolding. Although a lot depends upon a particular way of reading this text: is there a preferential option for the poor in Luke, or not? If there is not, then the healing and the sermon on the plain are addressed to everyone equally. Each of us receives healing from Christ while also receiving challenge. 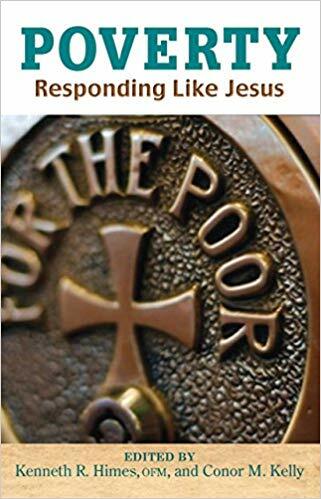 The preferential option for the poor is a basic principle of Catholic social teaching. It emerged out of the Latin American experience and theology of the 20th century. “This love of preference for the poor, and the decisions which it inspires in us, cannot but embrace the immense multitudes of the hungry, the needy, the homeless, those without health care and, above all, those without hope of a better future“ (Compendium of the Social Doctrine of the Church). As on many matters, one way to burrow down into the preferential option for the poor is to read the Wikipedia entry on it, which is excellent and links to a variety of external resources. "Sermon on the Plain Part 1: Blessed Are the Telegenic??" Sea Raven, Liberal Christian Commentary, 2010. Wellspring of the Gospel, 6th Sunday in Ordinary Time, Catherine McElhinney and Kathryn Turner, Weekly Wellsprings. Holy Textures, Understanding the Bible in its own time and in ours,Luke 6:17-26, David Ewart, 2013. "Honoring the Dishonored: The Cultural Edge of Jesus' Beatitudes," Jerome H. Neyrey. "In Search of Happiness," children's sermon, coloring page. Charles Kirkpatrick, Sermons 4 Kids.